The Builders Exchange is a not for profit member association serving the construction industry since 1932. The American Society of Civil Engineers represents more than 150,000 members of the civil engineering profession in 177 countries. Founded in 1852, ASCE is the nation's oldest engineering society. ASCE stands at the forefront of a profession that plans, designs, constructs, and operates society's economic and social engine - the built environment - while protecting and restoring the natural environment. The Associated General Contractors (AGC), the voice of the construction industry since 1920, is an organization of construction firms and industry-related companies committed to improving our physical environment through our commitment to the principles of Skill, Integrity and Responsibility. CalGeo works on behalf of its members to raise the status of the geotechnical engineering profession in the eyes of the public and other professionals. The value provided by geotechnical professionals is now more recognized than ever, and their members are playing larger roles on their project teams as a result. The Central Coast Builders Association is a non-profit trade association whose members represent a cross section of the construction industry. 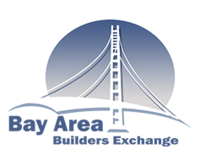 Since 1952 CCBA, formerly Salinas Valley Builders Exchange has been promoting the laws and regulations that benefit the construction industry and the general public. Their goal is to foster standards of quality and ethics between all persons engaged in this industry. Founded in 1901 and serving 1300 member companies, the Sacramento Regional Builders Exchange is the construction industry's oldest and largest association in the region. The Exchange's members include area contractors and subcontractors, suppliers and industry support organizations. The Sacramento Regional Builders Exchange serves the industrial & commercial construction industry by providing education programs, safety programs, bidding information, political advocacy, networking opportunities, and other related information and events for the construction industry. 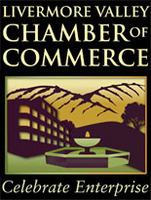 We're proud to support our local community by being an active member of the Livermore Chamber of Commerce! 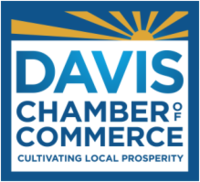 We're proud to be a member of the Davis Chamber of Commerce! The Davis Chamber helps support our local community through networking, community involvement and professional seminars. We are proud to support the community around us by being a member of the Fremont Chamber of Commerce. 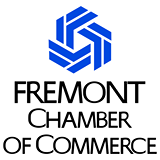 Committed to supporting and enhancing a positive business environment, the Fremont Chamber of Commerce is an association of nearly 1,000 businesses who employ over 40,000 people. Foundation Repair of California has completed the FEMA training course to be included in the Earthquake Brace and Bolt program. This program was developed in order to help homeowners lessen the potential for damage to their houses during an earthquake. The AllianceNRG Program combines the expertise and resources of Leidos Engineering and CounterPointe Energy Solutions in a focused effort to provide a nationwide funding platform. The AllianceNRG Program provides up to 100% financing for energy efficiency and renewable energy products for both residential and commercial property owners. We are proud to support the Aneurysm and AVM Foundation (TAAF). TAAF is a nonprofit dedicated to bettering the lives, support networks, and medical care of those affected by aneurysm and other vascular malformations of the brain. They are an all-volunteer organization run by survivors, caregivers, and medical professionals. We are proud to support Toys for Tots. Donating toys and acting as a drop off location for the local area. We are proud to sponsor the Gray Wolves Soccer Team of San Jacinto. ASYO provides world class soccer programs that promote a fun, familiy environment. We are proud to sponsor the Stonecliffe Animal Rescue through their t-shirt sales program in Dublin, CA.